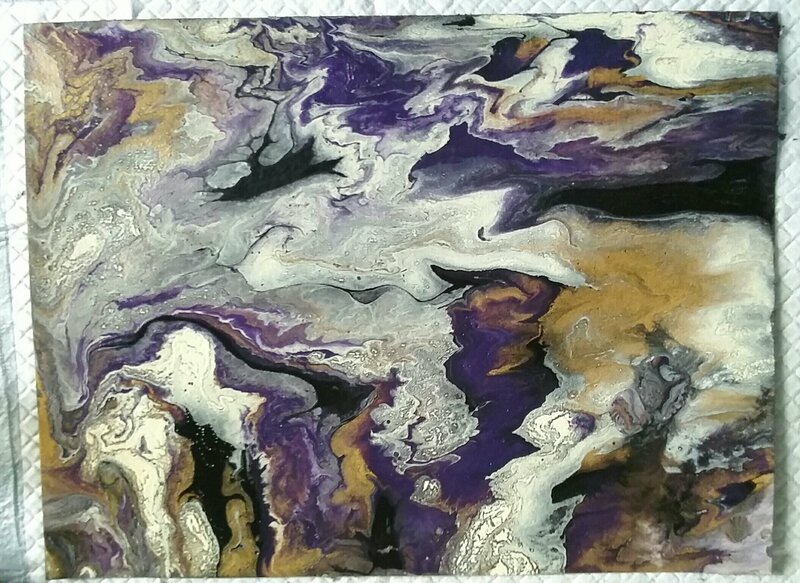 My second pour attempt turned out so much better than the first. GROUND: same sheet of 140 lb., 100% cotton, cold pressed watercolor paper. The biggest surprise discovered about pouring on nice thick cotton paper was how good it feels, almost like a leather or something, after it dried. Yes, it warped a bit as it was drying, but a little flexing made it flat again. 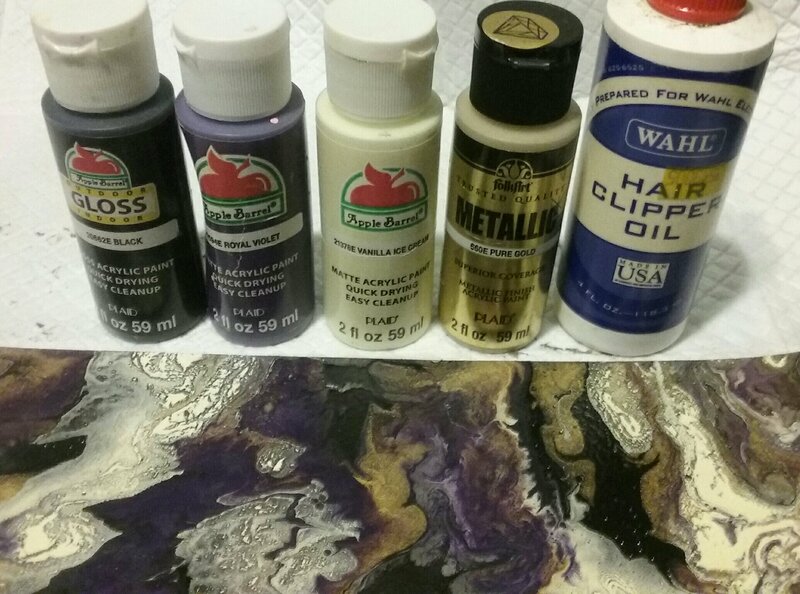 When you pour on paper, you can cut out interesting areas as smaller art or for other uses, perhaps to make a cover for a homemade journal book. I’ll experiment with other grounds later… right now, I’m playing with paper. UPDATE: I chopped it up. Yield: one 5×5, a bookmark, 4 ACEO’s, and (on far right) a folded book cover. Inside the little handmade book, 28 pages (7 folios) using 50 lb sketch paper.